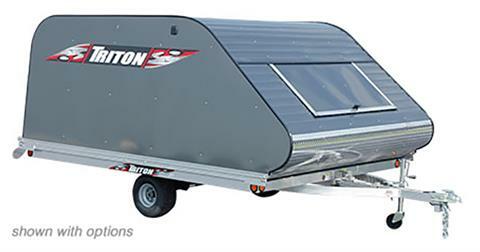 Keep your Triton trailer, machines, and gear protected from the elements with a Triton Cover. 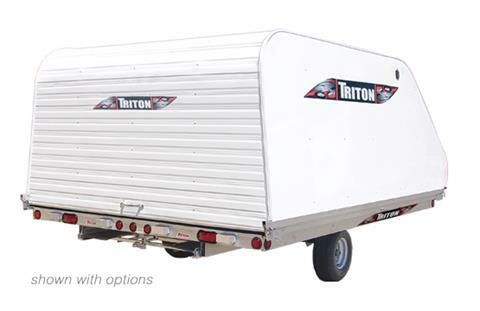 Covers are designed to fit Triton 11’ and 12’ open snow trailers. 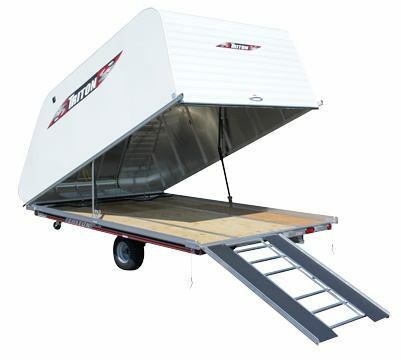 FRONT ACCESS DOOR: Easily tie down snowmobiles or access gear through the standard 2’ x 4’ front access door. Opening/closing the door is a snap with gas spring assist, exterior T-handle, and interior pull strap. FULLY WELDED FRAME: The Triton difference – all-aluminum construction and fully welded 1-piece frame provides a solid structure for years of hauling, unlike other covers with joined/screwed frame construction. 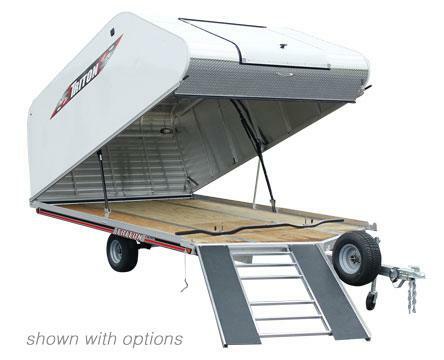 MOST USABLE SPACE: A 54” interior height for sleds. Plus a generous 59” rear loading/unloading clearance and 58" front drive off clearance when the cover is open. CENTER PROP ON 12’ COVER: For drive on/drive off flexibility, center props open the rear and front of 12’ covers. TAPERED SIDE PANEL: Side panels are tapered for improved aerodynamics and gas mileage, plus improved rear view mirror visibility behind the tow vehicle.